British University Colleges & Sport (BUCS) and the Football Association (FA) funded £2,500 towards the programme, which includes an opportunity for the club to complete their Level 1 Coaching qualification, as well as sessions provided by staff at the FA. SULFC President, Katrina Phillips, comments, “We are all very excited for the community project to grow and develop after the first week being a great success. Encouraging young females to get involved with football is something we all feel passionately about, as this is where most of us found our love for the game – being able to pass that on is a great opportunity”. 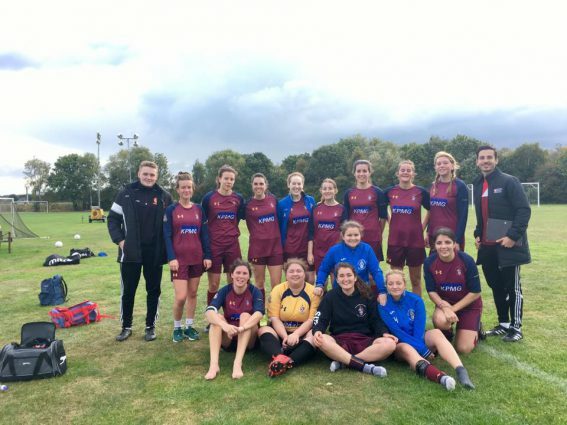 The programme marks the beginning of a longer development programme designed to reach further schools in Southampton across different sports clubs in the next academic year, as well as increase the participation of women in sport at the University. The Union’s Athletic Union Officer, Jack Harvey comments, “I’m absolutely delighted to see the Football Development Programme take off this year, engaging both students and children in the local community in participating in the sport. This couldn’t have been possible without the volunteers from SULFC who are committing their time to run the sessions, and we hope that the programme can develop further in the next academic year”. Keep up-to-date with the success of the project on the Union’s Team Southampton Facebook page.